Lindsay Lohan has moved back into her childhood home with her mother, Dina Lohan. Considering her mother is off the rails lately, Lindsay will look like the responsible one for a change. 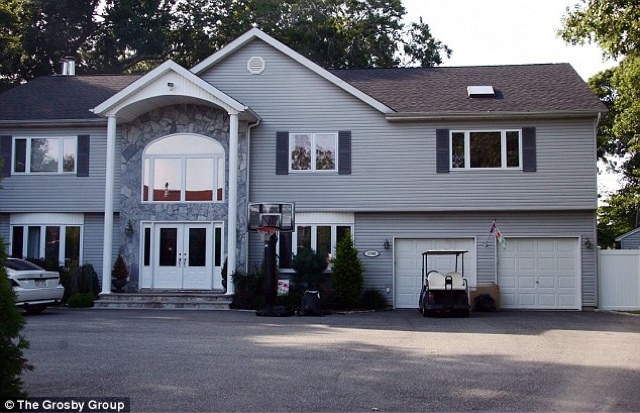 Below is Dina's Long Island home as well as a photo of Lindsey and Woody Allen after she offered up her little sister, Ali, in exchange for a part in one of his films. They're in negotiations.